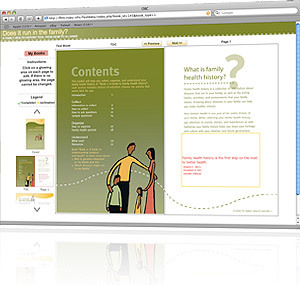 This tool helps you create personalized booklets to start conversations about health in your family and community. The sooner we understand the link between our family's health and our own, the sooner we can make changes and take steps to live longer, healthier lives. A peek into the past can reveal a lot about your future. Learn More / Click here to register for free and customize your book.